I’m trying some new organic compost from the local recycling center. At £20 for approximately 2 tons it’s a real bargain! The tractor turned up earlier today with a huge bucket load. Fortunately we cleared a space at the bottom of the plot at the weekend … just in time! 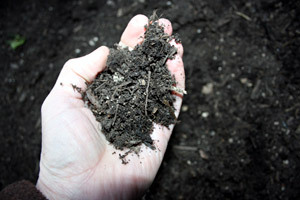 I’d like to use my own home made compost, but there just won’t be enough, and I plan to use it on the garden as a conditioner anyway. We plan to make our own general purpose organic potting compost, using as much locally sourced material as possible. I’m trying to create a well drained, light mix that I can use for pretty much everything. For this I’m going to use the organic compost as a base, to which I’ll add some sieved garden loam, along with some fish blood and bone and vermiculite, mixed at a rough ratio of 50/50. We need cost effective compost as we plan to grow lots of plants this year for our back garden nursery scheme. Also, by making our own it should mean fewer plastic bags to dispose of, resulting in less petrol consumption as we reduce the number of trips to the garden center…not to mention the money we will save on making our own. It’s the first time I’ve tried to make my own potting compost and I’m really looking forward to seeing the results. I’m sure it’s going to need refining over time, but that’s half the fun…nothing ventured, nothing gained as they say. 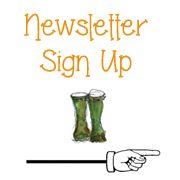 on March 8, 2011 at 11:28 pm | Reply Alan @ it's not work, it's gardening! 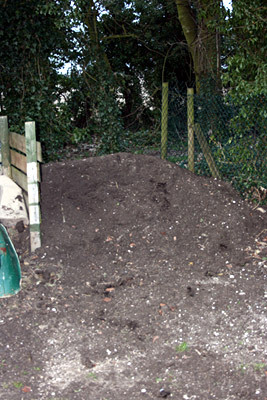 Getting compost in bulk is definitely the way to go if you have the space for it! I don’t think I could make even 1/4 of what I’d need each year if I didn’t do this. Not that you asked, but for potting mix I typically use a recipe of 1 part compost, 1 part peat, 1/3 part perlite, and “some” bagged topsoil (I can’t use my yard’s soil for that last part as it’s too much clay). By “some” it could be 1/3 part up to 1 part depending on what I’m potting up.